Many individuals who are going through a divorce go through a variety of emotional and financial dilemmas. Thankfully, they can all lessen the effects of the monetary issues by being proactive in organizing their finances. When two spouses decide that they want to separate, each should retain a divorce attorney. Some lawyers don’t bill for the first consultation, which then allows clients to begin the difficult divorce procedure without the stress of having to instantly pay a hefty sum for legal advice. 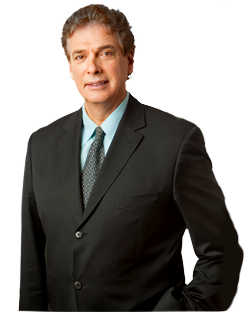 Some divorce attorneys bill hourly, meanwhile others may charge just a flat fee. Clients can do their part ahead of time by gathering the necessary financial documents on their own time, rather than leaving it to their attorney, otherwise known as discovery work. In addition, people can save a lot on legal fees if they have all their documents ahead of time. However, the research and preparation can be difficult if the client does not know what documents they need, as well as where to find them. Here are five simple ways to organize your finances before you start your divorce process. Create a new budget: With your regular income undergoing a dramatic change, you should go over your finances and be certain that you can manage your monthly and yearly finances. Also, it is now going to be important that you identify what your new parameters are in terms of spending, and it becomes vital that you have emergency funds stored for a rainy day. Costs for lawyers and other miscellaneous expenses can stack up in a hurry as well. And finally, don’t forget about any savings you have for retirement in whatever financial plans you draft. Close any joint accounts you have with your soon to be ex-spouse: Now that the relationship is over, you should make sure any shared accounts, credit cards, and overall any bank accounts are not only closed, but also paid off, or at the very least put under one of the spouses names. A helpful tool is to use your credit score, which many websites offer to obtain for free, to ensure you didn’t miss any accounts. This is important because sometimes a former spouse will take advantage of this, and make payments knowing it will negatively effect your credit score. Cover all your bases. Open new accounts under your name: Now that you have taken care of any joint accounts you may have previously had, you should create a credit account and open bank accounts that are all your own. It is also wise to NOT use the same bank where your joint accounts had been in. Calculate your net worth, complete a “Net Worth Statement”: Write down all the personal property and funds that you and your former partner accumulated during the marriage. Make an approximation of what it is worth. If you currently own a home, contact a real-estate agent so they can give you an idea of its current value on the market. As you are doing all this, it can alleviate some of the stress that you face during a divorce if you jot down some of the property that you feel you truly need to have. However, you cannot expect to get everything you once owned, so choose wisely. Make sure you have insurance: Now that you and your spouse are no longer going to be together, you need to make sure you are covered by multiple aspects of insurance. It is imperative that you and your children have enough of all types of insurance to be protected and taken care of. Your ex-spouse may not be so inclined to help you with this, so you must take it upon yourself to make sure you are covered.